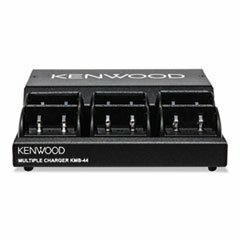 Six-Unit Charger for Kenwood PKT23K Two-Way Radios by Reg at Mountain Walk. MPN: KWDKMB44K. Hurry! Limited time offer. Offer valid only while supplies last. Multi-unit charger rack that provides charging capability at a central location. Prevents radios from being lost or uncharged when they are needed. Multi-unit charger rack that provides charging capability at a central location. Prevents radios from being lost or uncharged when they are needed. Uses the charging cups included with each radio. For Device Type: Two-Way Radios; Adapter/Charger Type: Six-Unit Charger; Power Source(s): Wall Outlet; OEM/Compatible: OEM.